If you use artificial sweeteners and are pregnant, it is always best to talk with your care provider on which sweetener you are using and how much you are consuming. Aspartame is the artificial sweetener found in NutraSweet, Equal, and most diet soft drinks and other sugar-free treats, and it's considered safe when consumed in moderate amounts. Saccharin, on the other hand, is more controversial. The main concern with Aspartame is when moms-to-be have a genetic disease called phenylketonuria, or PKU, which prevents them from breaking down the phenylalanine in their diet. If they don't follow a specific diet, the phenylalanine builds up in their bodies, causing their babies to be mentally retarded. According to a 1985 report from the American Academy of Pediatrics Committee on Nutrition, "Present levels of aspartame consumption appear to be safe for those who do not have PKU. ...The blood phenylalanine levels reported in response to loading doses of aspartame in normal adults ... do not seem sufficiently high to warrant concern of toxicity to the individual or even to a fetus during pregnancy." Saccharin, is historically one of the first artificial sweeteners developed. It is much less commonly used today. Saccharin has not been shown to cause birth defects, but animal studies show that it may increase the risk of bladder cancer and research on monkeys shows that saccharin is cleared out of the baby's body more slowly than the mother's. So if an expectant mother ingests a a lot of saccharin, it could accumulate in her baby's bladder and potentially increase the baby's risk for bladder cancer. Because of this concern, some physicians ban saccharin from their pregnant patients' diets. However, if you inadvertently used saccharin before knowing you were pregnant, the risks, if any, of consuming a small amount in the first weeks are extremely small. The main health issue for pregnant women who use artificial sweeteners is that they may be missing out on more nutritious foods and beverages. If you drink a lot of diet soda, for instance, you may not be getting enough water, milk, or juice, all of which are beneficial to your developing baby. These guidelines provide information from research done on the safety of these sweeteners. As with most things in pregnancy, it is always best to consult with your health care provider about what artificial ingredients are safe for you to use during your pregnancy. Artificial sweeteners are ingredients that add sweetness to foods. Sweeteners are ingredients in soft drinks, desserts, candies and pastries. There are two categories of sweeteners: nutritive (contain calories) and non-nutritive (without calories). What artificial sweeteners are considered safe during pregnancy? 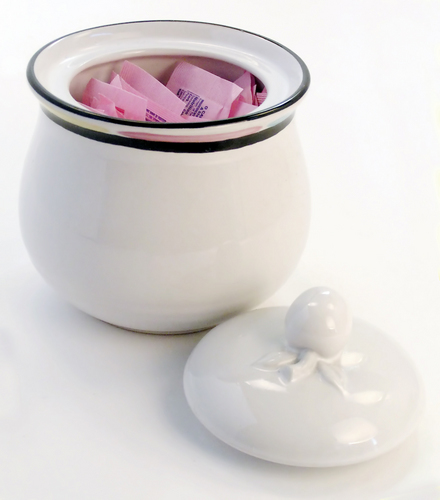 Nutritive sweeteners (such as table sugar) contain what is called “empty” calories. These additives contribute calories to the diet, but they contain few vitamins or minerals. When used in moderation, nutritive sweeteners are considered safe for consumption during pregnancy assuming they are not contributing to excess weight gain. However, women with carbohydrate intolerance such as gestational diabetes, diabetes mellitus, or insulin resistance need to limit their use of nutritive sweeteners. Nutritive sweeteners include sugars such as sucrose, dextrose, honey, corn sugar, fructose, and maltose. Sugar alcohols are also nutritive sweeteners that are often found in foods labeled as “sugar free.” Technically, sugar alcohols are not sugars, but they do have calories which can be converted into fat. Examples of sugar alcohols include: Sorbitol, Xylitol, Isomalt, Mannitol, and Hydrogenated Starch. Non-nutritive Sweeteners are added in very small amounts to foods for a significant sweetening effect and have been approved for use in dietetic or reduced calorie foods and beverages. Research is limited on the safety of the use of non-nutritive sweeteners during pregnancy. Acesulfame Potassium: (Sunett) This sweetener is added to baked goods, frozen desserts, sugar free gelatins, puddings and beverages. Acesulfame Potassium has been deemed safe to use in moderation during pregnancy by the FDA. Aspartame: (Equal or NutraSweet) Aspartame is not effective in heat nor for long periods in liquid form. It is often found as an additive to soft drinks, gelatin, desserts, pudding mixes, breakfast cereals, beverages, chewing gum, dairy products, and other foods and drugs. According to the Food and Drug Administration(FDA), Aspartame is safe for use during pregnancy and lactation. It is recommended to limit consumption to a moderate level. Aspartame should not be used by anyone with PKU (a rare metabolic disorder), rare liver disease, or by pregnant women who have high levels of phenylalanine in their blood. Phenylalanine is a component of aspartame, and it may not metabolize correctly in anyone who has these conditions. Sucralose: (Splenda) This is non-caloric sweetener that is made from sugar. Sucralose has been approved for use in baked goods, baking mixes, non-alcoholic beverages, chewing gum, coffee and tea products, confections and frostings, fats and oils, frozen dairy desserts and mixes, fruit juices, sugar substitutes, sweet sauces, toppings and syrups. It can also be used as “table-top sweetener.” Sucralose has no effect on blood sugar, offers no calories, and is deemed safe during pregnancy and lactation. According to the Food and Drug Administration (FDA), sucralose is safe for everyone to consume, including pregnant women. What artificial sweeteners are questionable or NOT safe to use during pregnancy? Saccharin: (Sweet 'N Low) Although it is not used as much today as in the past, it still appears in many foods, beverages and other substances. The FDA does consider saccharin to be safe to use for the general public. Former studies that had linked saccharin to an increased risk of developing bladder cancer have been dismissed by the National Toxicology program. But studies do show that saccharin crosses the placenta and may remain in fetal tissue, so its use for pregnant women still remains in question. 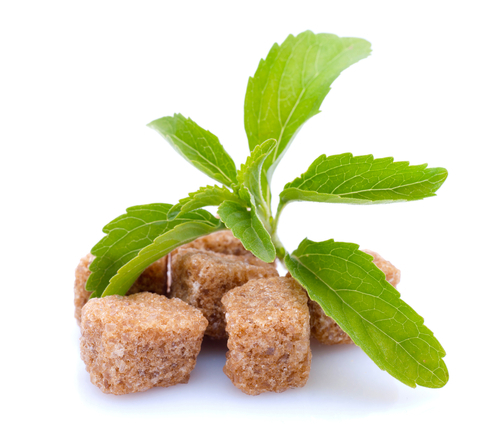 Stevia: This sweetener is derived from a South American shrub. It can add sweetness to foods, but has not been approved by the FDA to be sold as a sweetener. Stevia can be sold as a “dietary supplement” but not as a sweetener because its safety has been questioned when used as a food additive. The safety of Stevia is unknown when used as a sweetener by pregnant or lactating women. Cyclamate: This sweetener has been linked to cancer and is currently banned in the United States. Cyclamate is not considered safe for anyone including pregnant women.